Home » Aguada Fort » Chapora Fort » Goa in Monsoon » Government of India » Light House » Ministry of Shipping Goa » Old goa churches » Vagator Beach » Conclusion: The forts and very “different” beaches! Conclusion: The forts and very “different” beaches! After visiting the Old Goa churches ,which dated back to 15-16th century, and experiencing the ‘river cruise’ last night made me realise that the GOA I was experiencing was a lot different from what is generally written on blogs or talked about amongst the office gang while sipping tea. Aaj mera aakhiri din tha GOA mein , and it was the turn of Forts and the beaches. 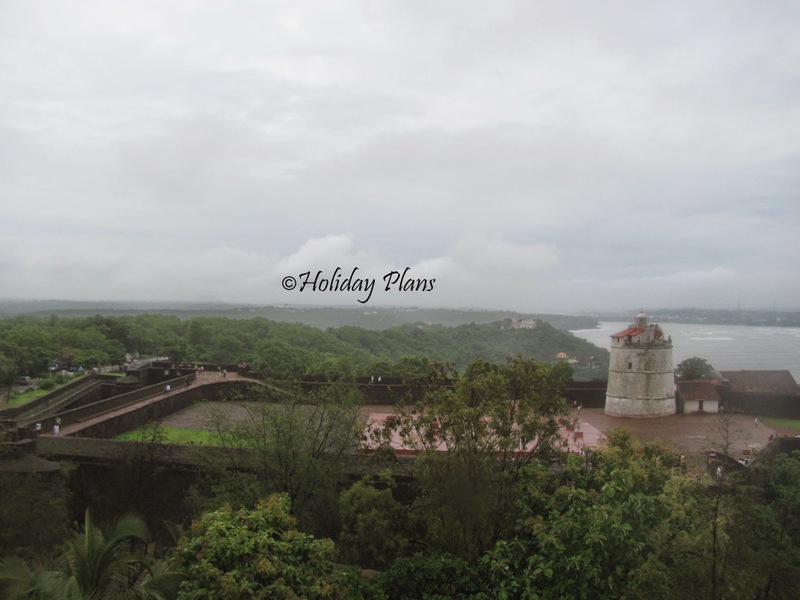 We had stayed in Panaji throughout our holiday.We started early for the North Goa fort – Chapora Fort ; yes this is the same fort which is famously known as the “Dil Chahta Hai” fort. The route to the fort is very serene and full of sights- the cows grazing early in the morning , lots of greenery ( because of the monsoon season), narrow yet well maintained roads , palm trees everywhere and small churches built on every square or corner. 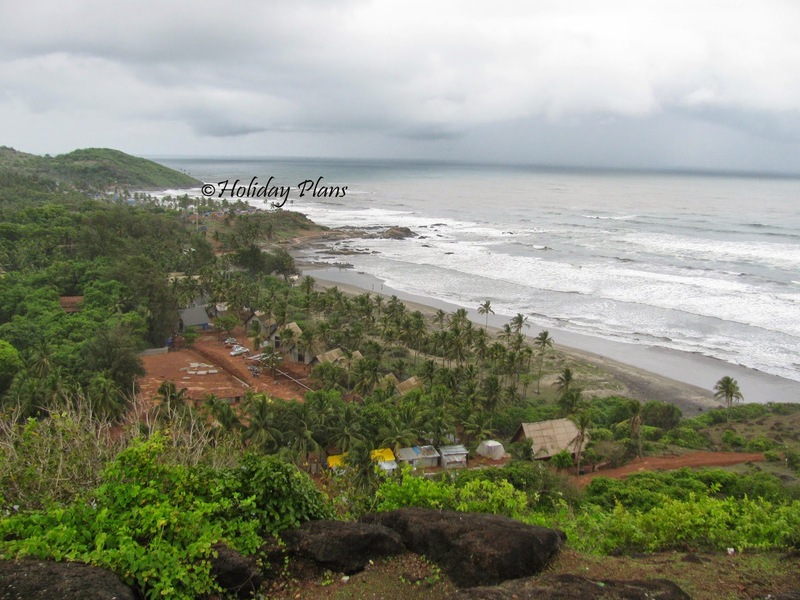 Below are the pictures of the way to Chapora Fort. 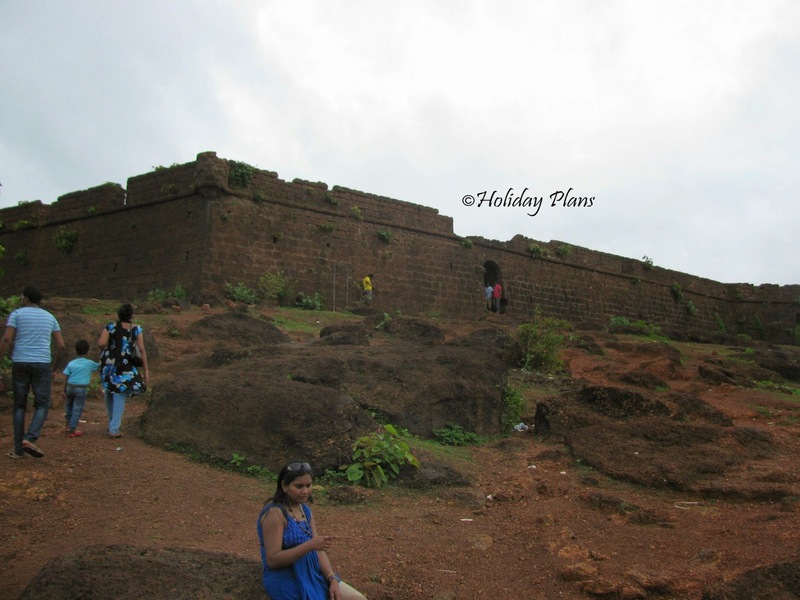 The Fort is built at a height and one has to walk up the slope (which indeed is very steep) for some 200 metres. The fort at present is in ruins and one should not expect its structure to be anywhere near to the forts of Rajasthan. But the view that the fort has in offer is unparalleled to any view from any fort in the country. All you can see from the fort is Nature in different forms. The ominous clouds above and the wind caressing our hair raised the ambience of the place to another level! Below Pictures will help you understand the “feeeeeel”. Vagator Beach which is just adjacent to the Chapora Fort. We witnessed a very turbulent sea because of the monsoon season and were advised not to enter the waters. There is a market, more of a temporary nature just near the Vagator beach ,we sat there and just gazed upon the sea till the end of the horizon. It was a very peaceful sight ;away from the hustle and bustle of “life in a metro”! Our next stop was the Vagator where we can buy different things and feed your hungry tummies. Our next stop was the Aguada Fort , more famous for its Light House. The road to this fort is also narrow and well maintained. Fishing boats and fishermen’s nest could be seen en route the fort. This fort is comparatively in better conditions than the Chapora fort and houses a Lighthouse. 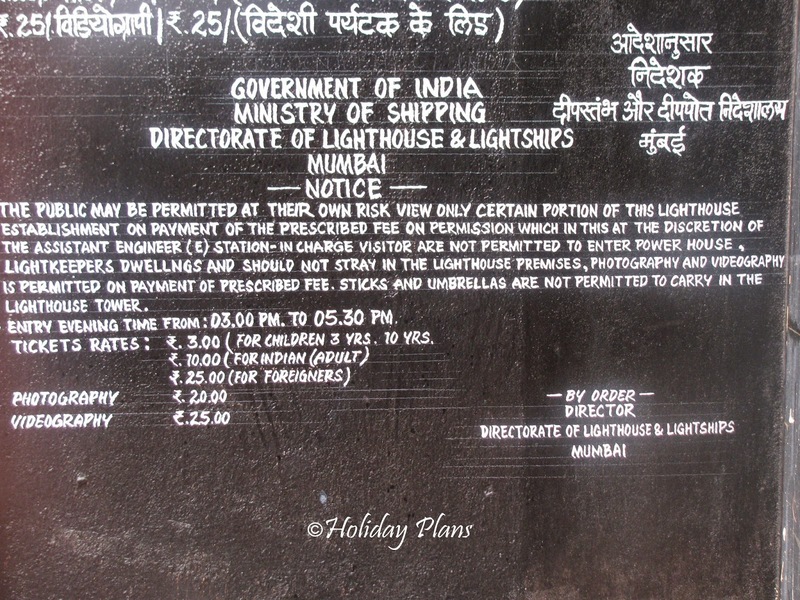 Most of the people just visit the Fort but not the lighthouse because the lighthouse is under the control of the Ministry of Shipping , Govt of India and everyone thinks that it is prohibited to go inside the premises. But the traveler inside me coaxed my inner self to the entry point of the Light house premises. 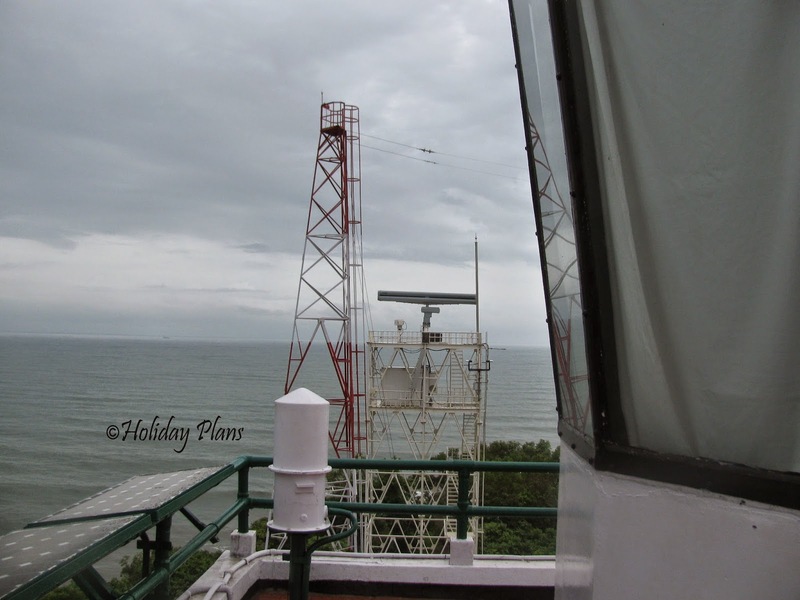 I found that general public/ tourists can also visit the lighthouse and can even climb upto the top. I even managed to take the picture of the guidelines for visiting the lighthouse. It was again a very unique experience for me to climb the light tower which is used for signaling the ships. I had seen this in various Hollywood movies and had wished to be there. Ye vo MOMENT tha! It had then started raining heavily and we were forced to move back to the hotel. We had our flight back in the evening so we rested a while and then left for the airport. Right now I am writing this while sitting in a “metro” but the experience of Goa in Monsoons is still fresh in my mind and has been inked in my memories forever. Hope you enjoyed the Monsoons with us! You can visit our gallery for more pictures! “Heaven on Earth” –Kashmir and Laddakh! 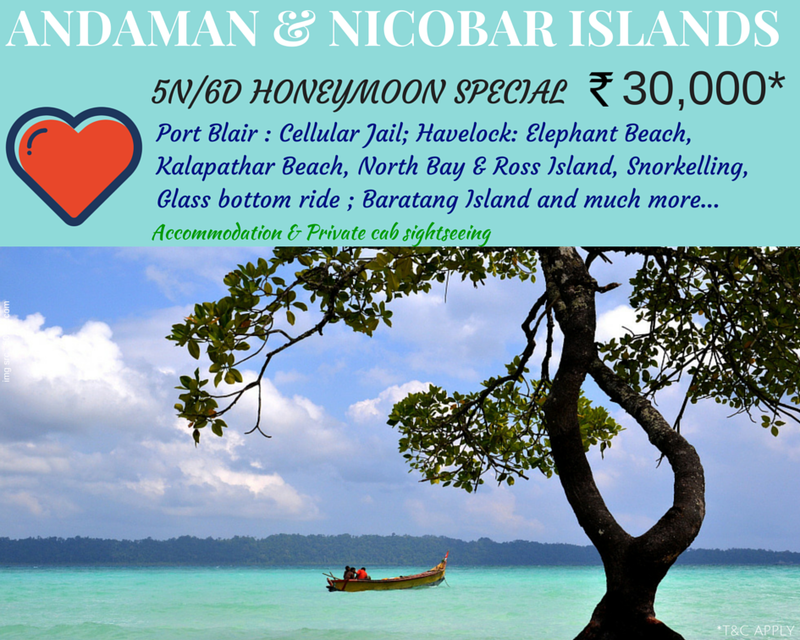 To book a customised tour to Goa, feel free to get in touch with us. Its like other side of the coin. As soon as Goa is heard, thoughts come of beach, fun, enjoy. but from this one can figure out that Goa is not just for them but also for people who want to enjoy peace, serenity. 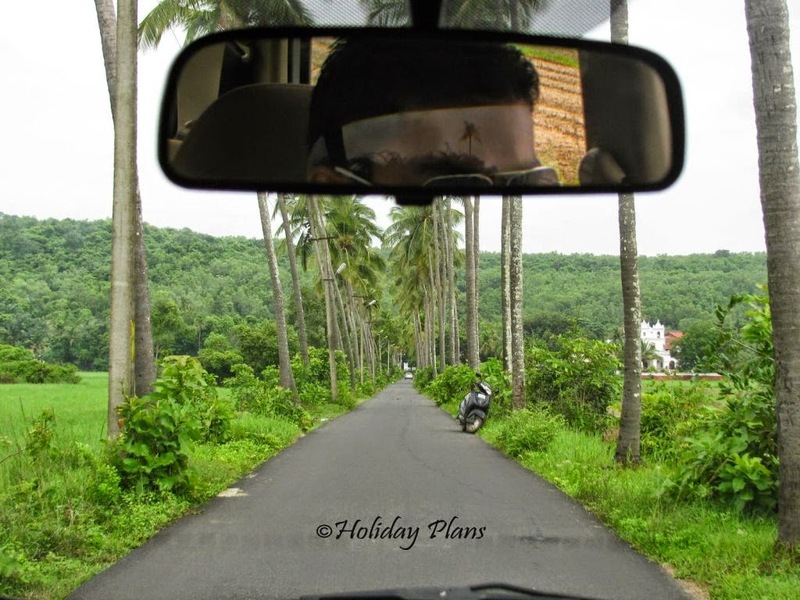 Goa is an overall package for travelers. You have really unleashed a beautiful yet forgotten side of Goa. Definitely worth a try! Didn't knew there is a lighthouse adjacent to the fort. Beautiful view of sea from lighthouse.